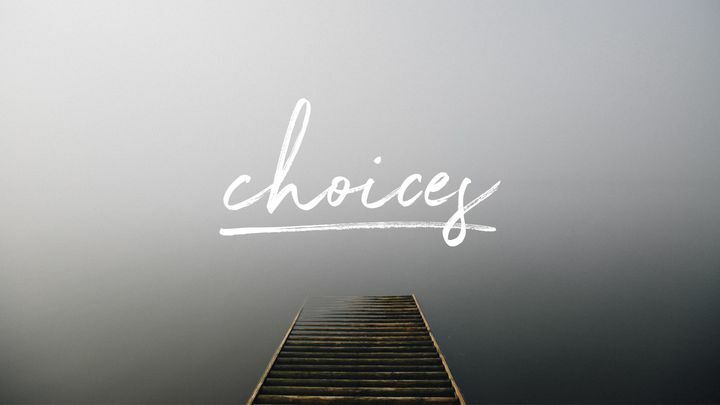 Choices - Life is a series of choices, each determining the trajectory it will take. Will we choose life, by allowing our hearts to be changed by God's Word? Or will we default to our human nature, a passive choice leading to death? Life is a series of choices, each determining the trajectory it will take. Will we choose life, by allowing our hearts to be changed by God's Word? Or will we default to our human nature, a passive choice leading to death?